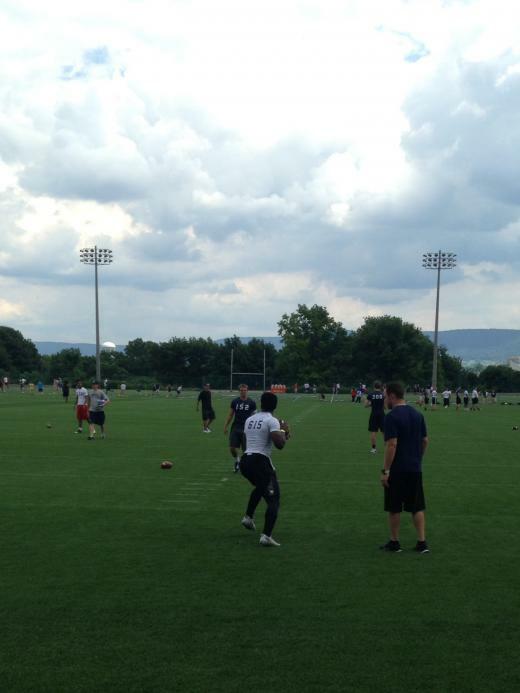 Nittany Lion commit Brandon Wimbush certainly looked the part on Sunday afternoon as he hit the field at Penn State's latest skills camp for prospects from around the state and east coast region. The 6-foot-2, 208 pound gunslinger was impressive all afternoon although he opted out of most of the physical tests like the 40-yard dash. The No. 4 rated quarterback in the 2015 recruiting class according to Rivals.com, Wimbush is the co-headliner of James Franklin's first class in Happy Valley along side offensive tackle Sterling Jenkins. Both Jenkins and Wimbush are a large part of why Franklin and his staff have been able to put together what is considered by many to be one of the best recruiting hauls in the nation. While Wimbush has been firmly a Nittany Lion since announcing his commitment last month, a few Penn State fans have worried that a recent offer from Stanford might give Wimbush second thoughts. Wimbush received the offer while attending a skills camp at Stanford earlier this month and has reportedly been high on head coach David Shaw and his program. Quite a few committed players will attend camps at other schools, something Franklin may have very well supported in the case of Wimbush, but offers during those visits will always put fans on edge. Wimbush's attendance at Sunday's camp should calm the nerves of most anxious fans though as he looked right at home with all of Penn State's staff. His mom even got in on the action with a Penn State shirt and friendly conversations with Franklin when the two crossed paths during the afternoon. Recruiting can be a dramatic and ever-changing situation, but in the case of Brandon Wimbush it appears he is plenty happy with the decisions that he has made. 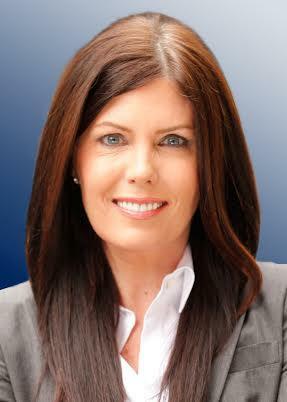 Attorney General Kathleen Kane says she can't rule out the possibility that politics influenced the timeline of the Jerry Sandusky investigation -- despite a review that concluded there's no evidence to prove politics was at play.